The best Pinewood Derby in town is slated for March 8 at 6:00 in the La Casa de Cristo Gathering Place. Be sure to register your car the night before–we will be doing official inspections and registration in the Gathering Place from 6 to 8 p.m. If your car is not registered, it cannot race! We also strongly encourage all racers to attend one of the upcoming practice sessions (information below) to test-run your car and make sure it will be eligible to race in the Derby. 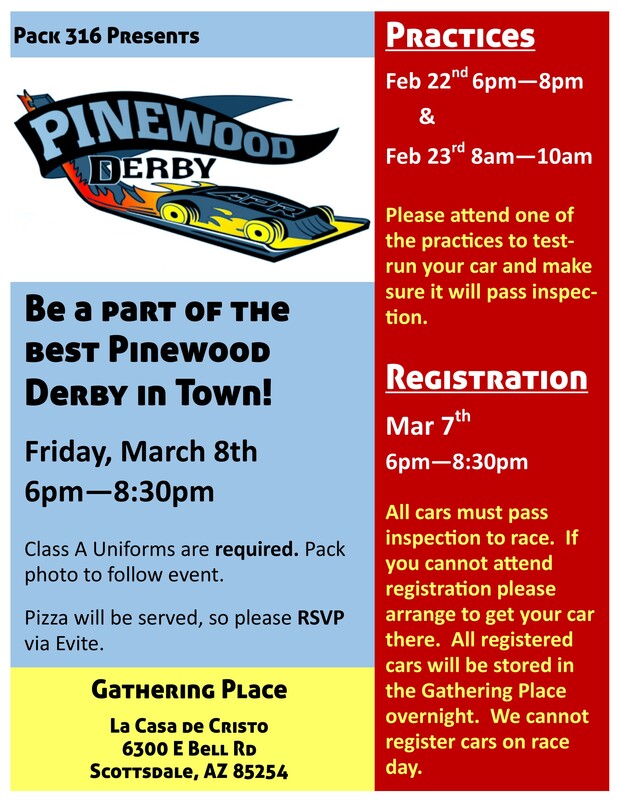 Pinewood Derby Practices: Feb. 22, 6-8 p.m. and Feb. 23, 8-10:30 a.m.